Need a fun, relaxing spot to unwind and watch TV? You’ll find that space with the Party Time power recliner with adjustable headrest. 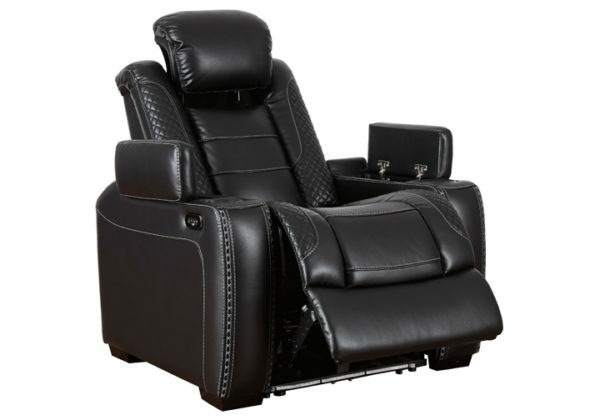 When it comes to comfort, you’ll love the reclining bucket seat and its adjustable power headrest that delivers a personalized comfortable angle for TV viewing. 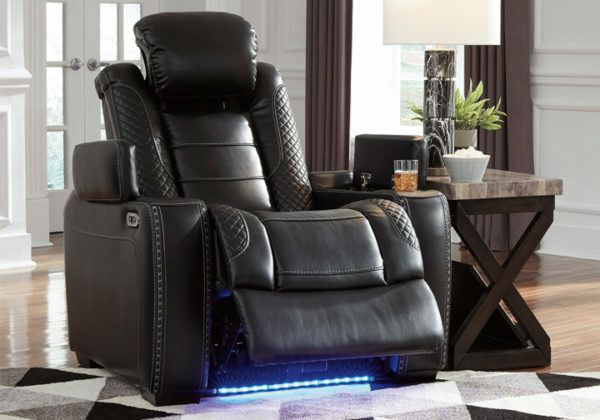 It’s convenient too—sporting lighted cup holders, built-in power button with USB port on control, flip up padded armrest with hidden storage underneath and lower LED lighting. It’s certain to become a hit in any home. How could you only get one?